A sad love song in the voice of Vishal Mehta and music composed by Abee Chhajed. The video of this song is available on YouTube at the official channel Crescendo Music / Productions. This video is of 3 minutes 16 seconds duration. 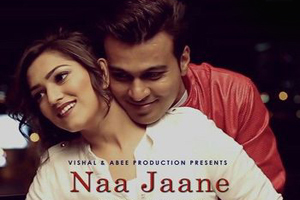 Lyrics of "Naa Jaane (Vishal Mehta)"
Lyrics in Hindi (Unicode) of "ना जाने"